Every year RHS Chelsea Flower Show takes over Chelsea area's life and covers it all with flowers. The tickets to the show have now sold out (unless you are a member) so I wanted to give you a glimpse with some of the photos I took during the press view. 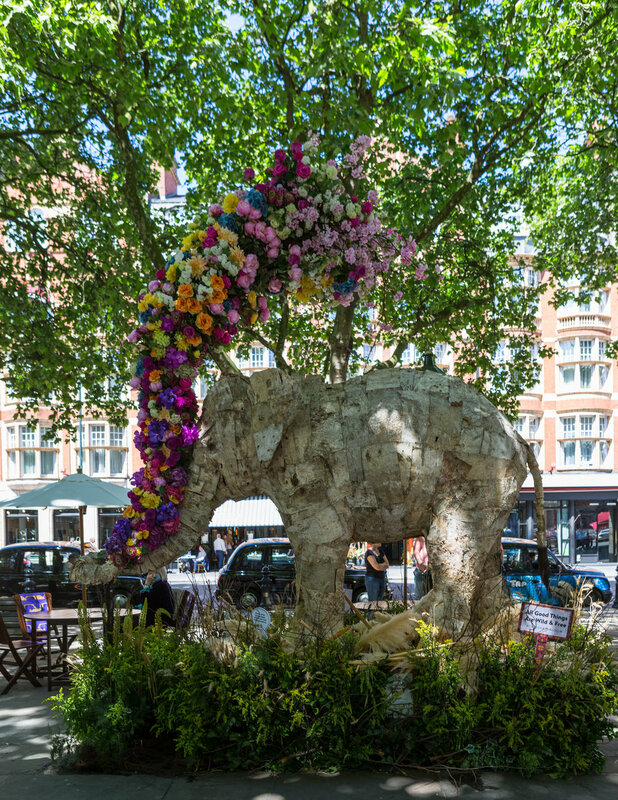 Even if you can't make it to the show or were not quick enough to buy the tickets it still makes sense to visit the area to admire Chelsea in Bloom - participating shops embracing this year's Floral Safari theme with the beautiful blooming displays. After visiting all the shops in Chelsea take 15 minutes walk to Belgravia's Instagram famous pink Peggy Porschen Cakes with their gorgeous (obviously, pink) floral display. Many thanks to @london, the RHS and Visit London for arranging my visit.